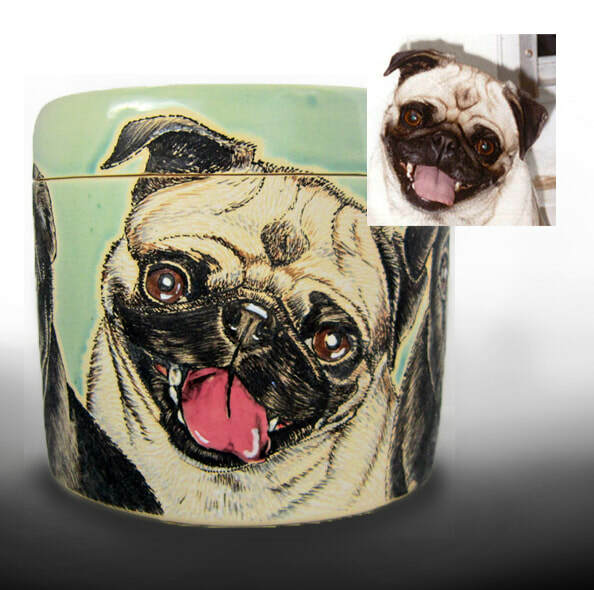 Every dog is hand drawn and then decorated with glazes, the technique is called glaze trailing. 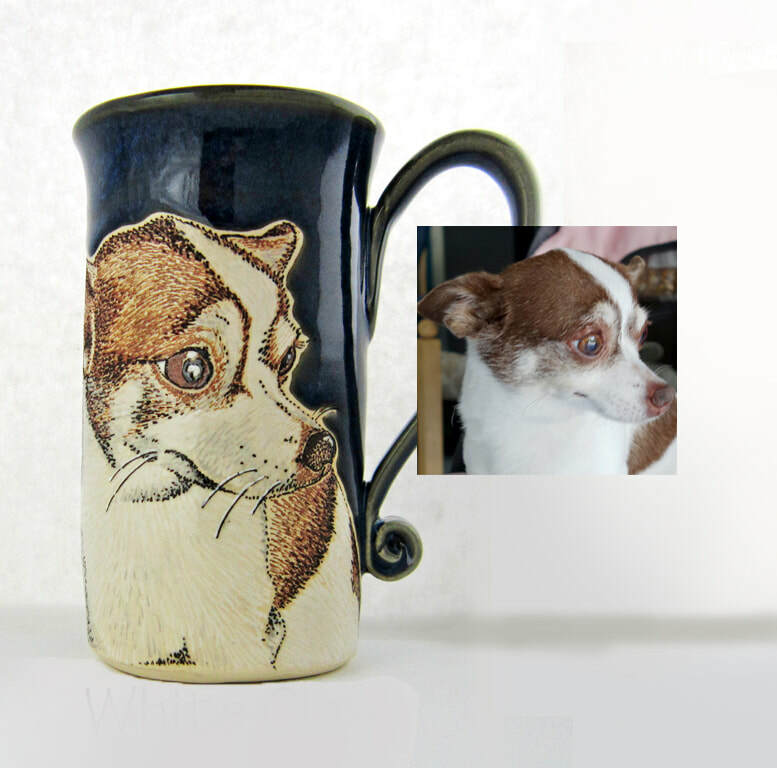 Each mug and urn is handmade and therefore unique. 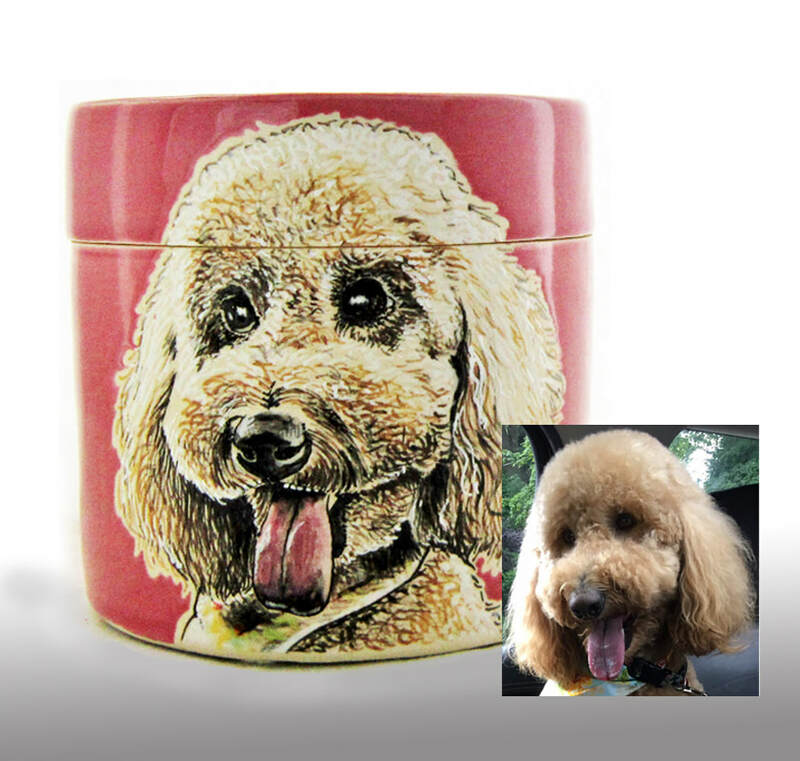 It is my desire to give you the best image of your dog that I can. All I need is a clear photo of your dog(s). You can simply tell me the breed of your dog and I’ll find an image online. 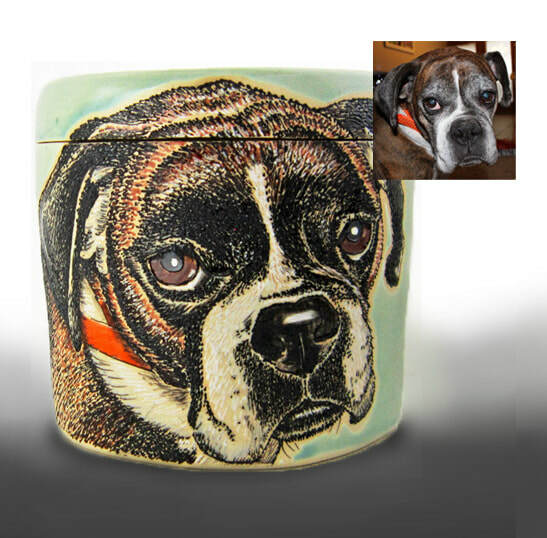 However, if your dog is unique, or you have a particular photo you love, then a high resolution photo would be necessary. See my Pinterest page for more examples. 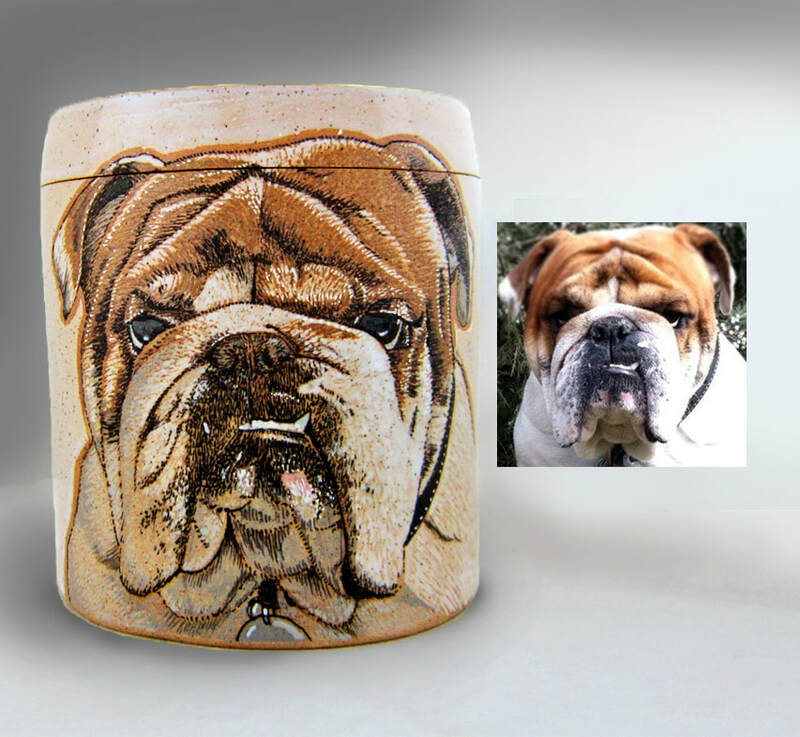 These mugs and urns are in white or brown clay depending on the image you send and background color you choose; I'll decide which clay looks best, unless you have a preference. 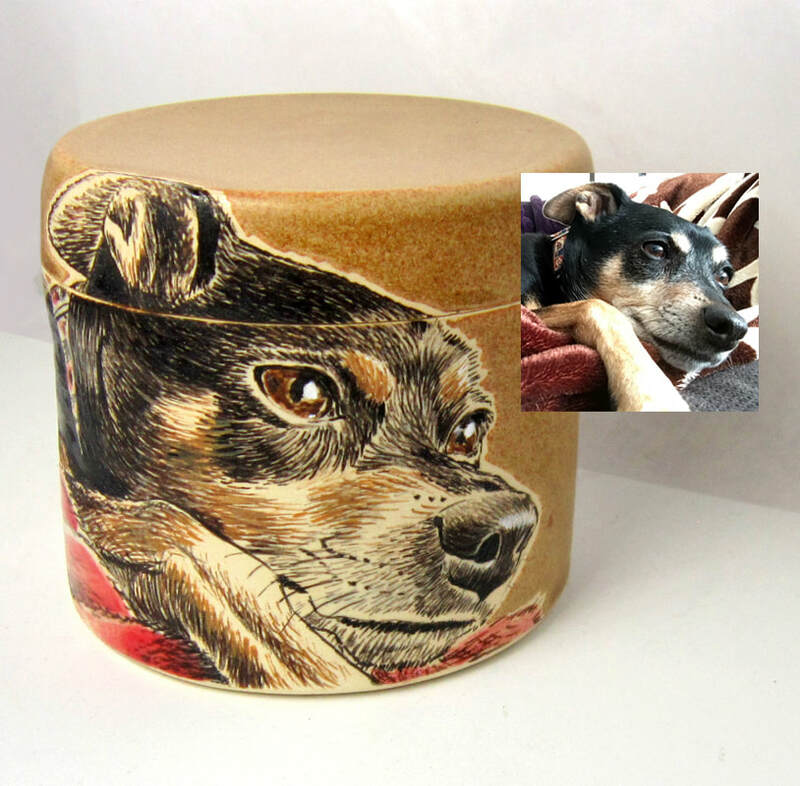 I can put these images on mugs, steins, tiles and urns. 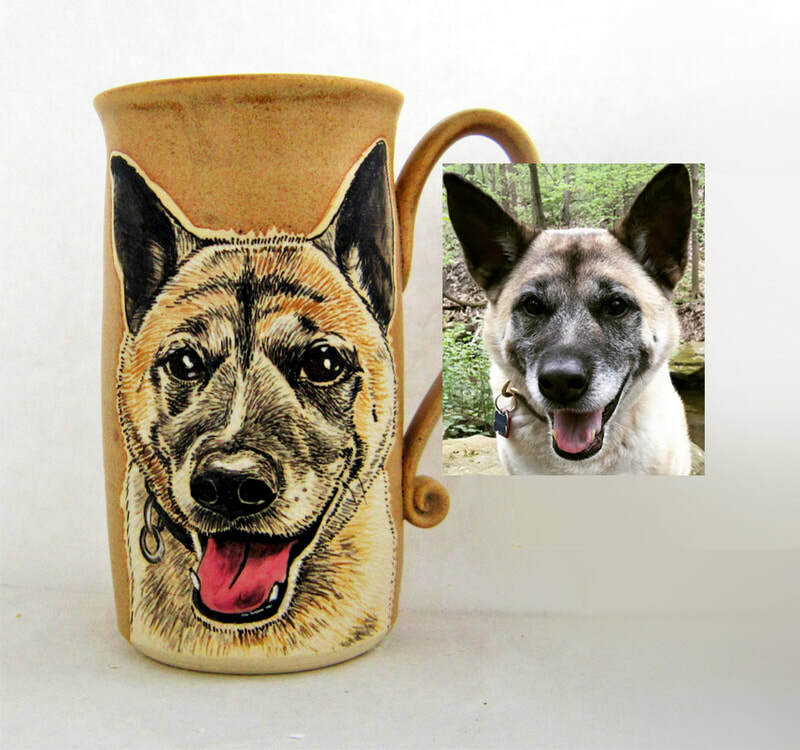 I charge a flat rate of $12.00 to ship mugs and $14.00 for the urns in the USA plus $7.50 for every additional mug. 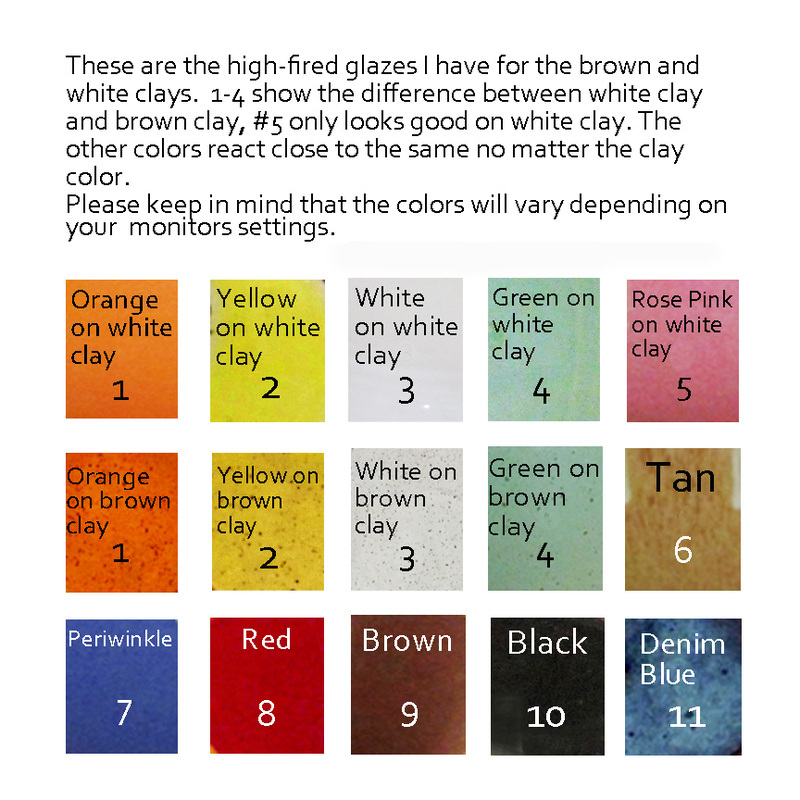 I can get you a shipping rate for anywhere outside the US, just contact me. 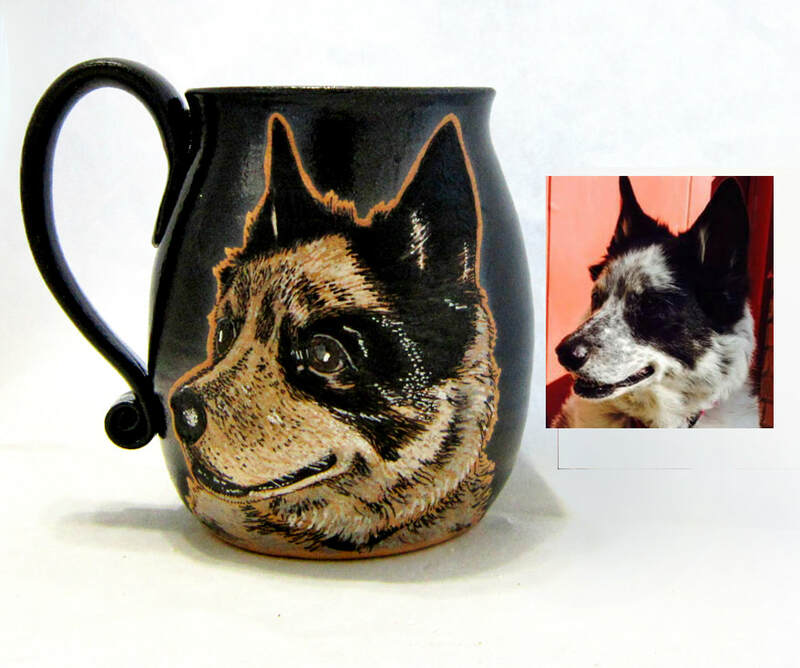 I charge a flat rate of $12.00 for mugs and $14.00 for the urns for shipping and an additional $7.50 for every additional item. Don't forget to send a high resolution photo if needed. Use my contact page, at the bottom of the page you'll see the words, "click here to upload file". 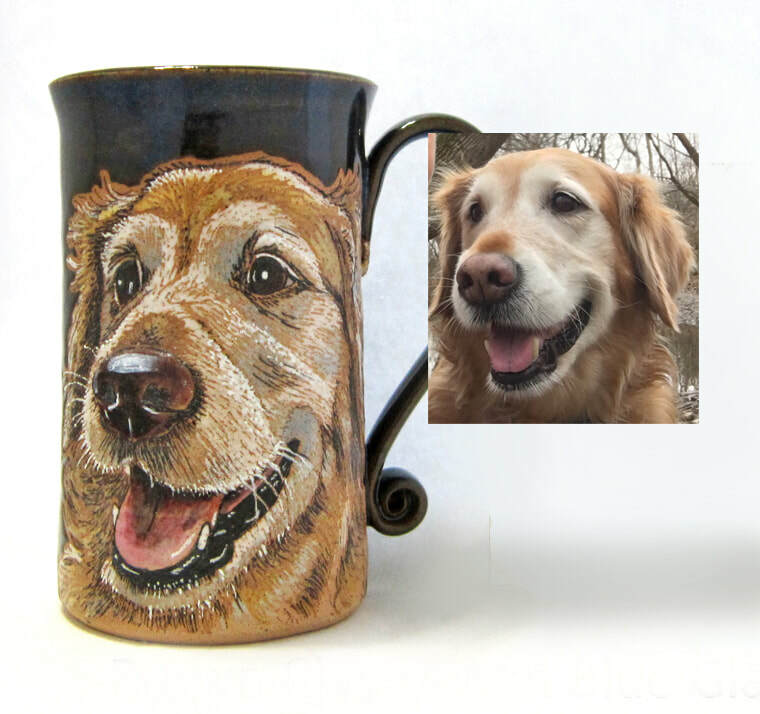 This is a MADE TO ORDER purchase, please allow 3-6 weeks for completion, I have to throw the mugs and urns, draw, decorate, fire and then ship them.